Firstly, I tested the water based aerosol acrylic sanding sealer to the rim of a carved bowl. The sealer was easy to apply and in particular, the aerosol facilitated an even coverage to all areas that normally would take longer to cover if applying by hand. The product dried quickly and evenly with no noticeable swelling/lifting of the wood fibres. Due to the depth of the carving, I did not require to cut back the surface, however trying the product on a finer piece of relief carving, the surface only needed the lightest of cutting back with 0000 wire wool before the next coat. The finish was then gently buffed using a loose cotton mop with buffing compound, with the result being superb. 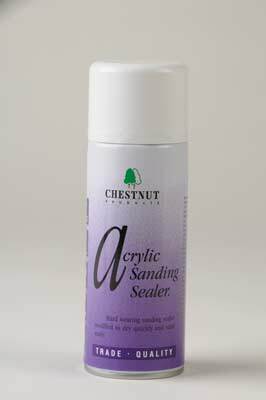 The sealer is suitable for applying under any of the Chestnut acrylic lacquers, ebonising lacquer, woodwax22 and friction polish. 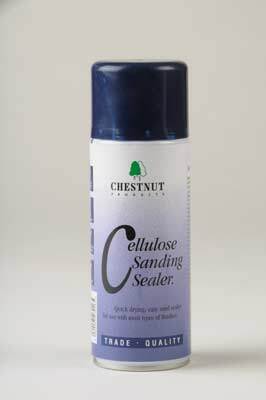 As with the acrylic sanding sealer, the cellulose sanding sealer is designed to give a tough base for the top finish. I found it just as easy to apply, and gave just as good a result. As the cellulose sealer is not water based, it may not be everyone's preferred option, however, as with any spray/aerosol finishes, correct particle masks should be worn. The product cut back as easily as the acrylic sealer and for me, the only real difference is the chemical composition between the two products. 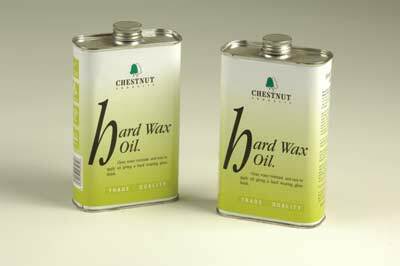 The hard wax oil is a natural blend of oils and waxes designed to dry quickly and provide a tough seal to the wood. I applied the oil to a small figuring which had a cross section of surfaces to see how easy it was to apply. The oil was wiped onto the surface using kitchen towel and quickly soaked into the surface of the carving. It took well to the fine detail and had good coverage for larger surfaces. I applied two coats allowing drying between each. The recommendation is to leave four hours between coats, but I found that after five minutes with light buffing using kitchen towel, the surface was dry enough to apply a second coat. It is of course appropriate to follow the instructions, but I wanted to put the oil through its paces. I found the surface could easily be buffed to a deep satin sheen with minimal amount of work. It gave a hard resistant surface and is an excellent product that I now will be using much more in my work.